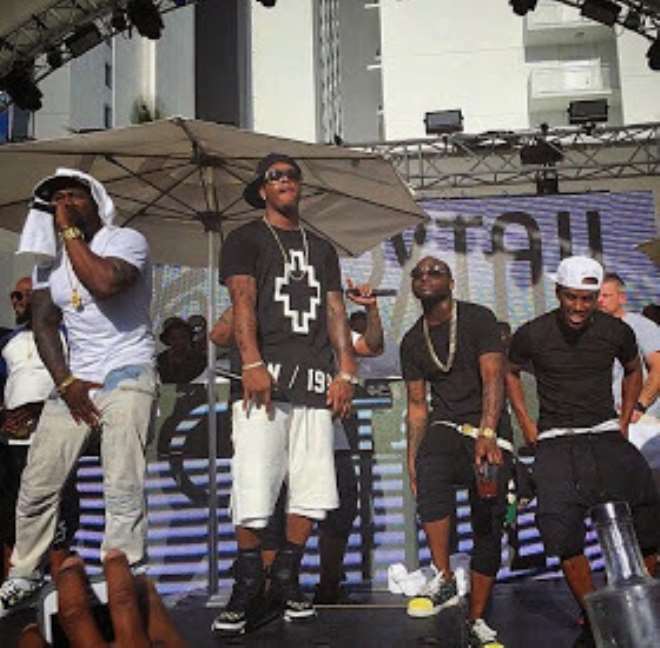 Nigeria's talented and multiple award-winning singer, Davido recently performed on same stage with top America rapper, 50 Cent. 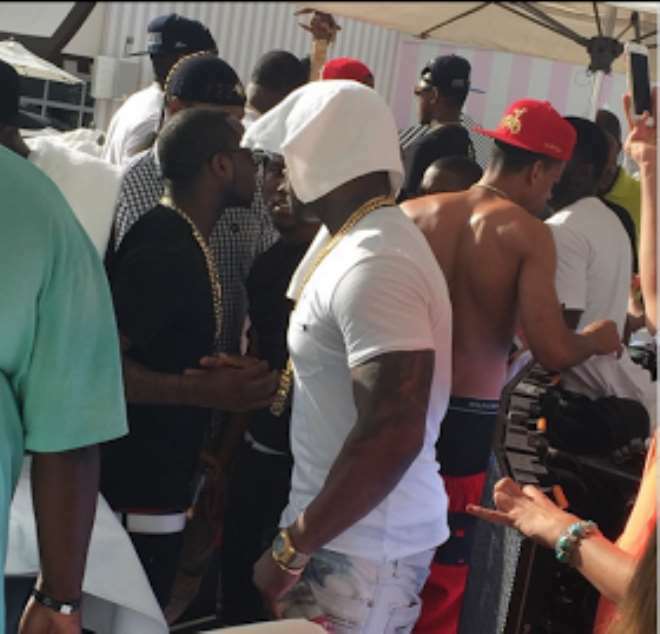 The HKN Gang boss was spotted performing on stage with 50 Cent at a pool party at the SLS in Las Vegas, USA, over the weekend. The 'Gobe' crooner stormed the event with his crew and was very excited to be on stage with one of the world's famous rappers. 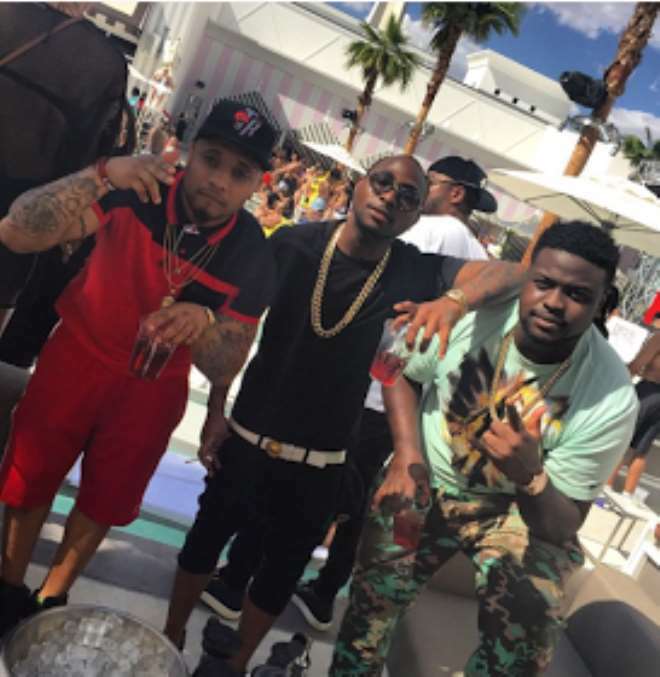 Davido, who could not stomach the joy of being on the same platform with 50 Cent, shared some of the photos of the moment via his social media platform.